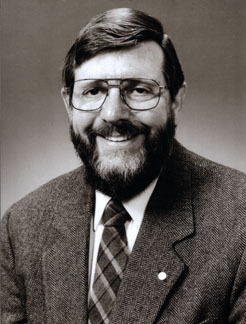 Physicist William D. Phillips has studied and advanced the scientific art of supercooling atoms for trapping and examination. Cooling slows the speed of atoms' movements, and extreme cooling to near absolute zero allows the atomic structure of gases to be slowed and trapped without having the gas condense and liquefy or solidify. Working with the laser-based "atom trap" designed by Steven Chu but modifying its parameters, Phillips was able to obtain temperatures even lower than those predicted and achieved by Chu's team. Phillips' results were so remarkable and far beyond what physicists thought would be feasible, he said that he could not believe it. French physicist Claude Cohen-Tannoudji derived an explanation for Phillips' findings, and Chu, Phillips, and Cohen-Tannoudji shared the Nobel Prize in 1997. Phillips has worked at the National Institute of Standards and Technology (formerly the National Bureau of Standards) for his entire career, and also taught at the University of Maryland College Park since 1992. In addition to his Nobel Prizewinning work, he has studied atomic-gas Bose-Einstein condensates, atomic physics analogs of condensed matter systems, atoms in coherent deBroglie-wave atom optics, collisions of ultracold atoms, the magnetic moment of the proton in H2O, matter that exists only under extreme cold conditions, optical lattices, optical tweezers, quantum information with single-atom qubits, and ultracold Rydberg atoms and plasmas.